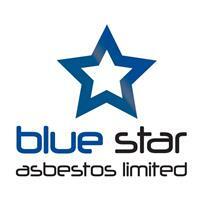 Blue Star Asbestos Limited - Asbestos Services based in Southsea, Hampshire. Blue Star Asbestos Ltd are a Hampshire based consultancy working across the South of England and the Isle of Wight. We offer a complete range of asbestos services, providing all the information and guidance needed to locate and manage asbestos on your premises. Our consultants and asbestos surveyors are all fully qualified to British Occupational Hygiene Society (BOHS) nationally recognised standards for working with asbestos. Blue Star Asbestos Ltd offers a completely independent, cost effective and professional service - we are not affiliated with any asbestos removal contractors so you are guaranteed impartial advice. We are now pleased to offer Fire Risk Assessments and Reports. The Fire Safety Order (FSO) applies to all non-domestic premises in England and Wales. The Regulatory Reform (Fire Safety) Order 2005 came into effect in October 2006. The order applies to all business premises, communal areas of flats and houses in multiple occupation (HMOs). If you are the duty holder for an applicable premises and require a Fire Risk Assessment contact us today for a competitive quote.